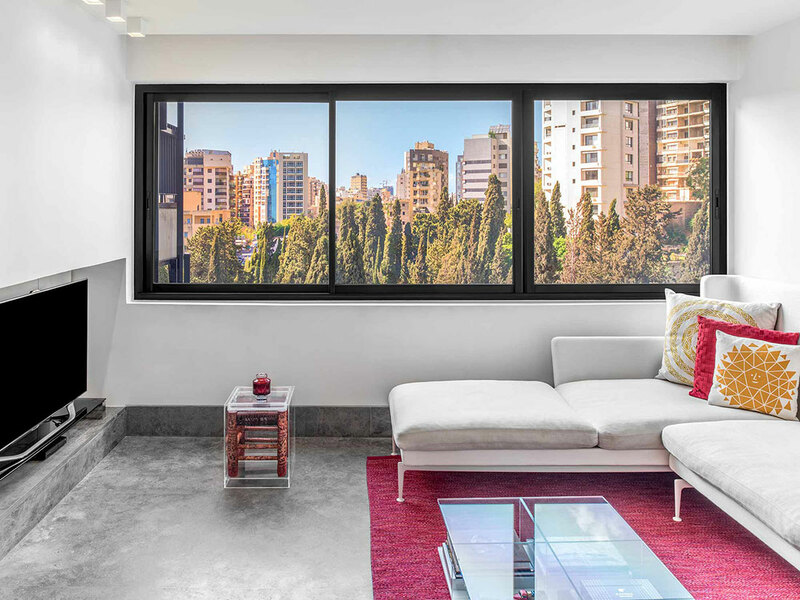 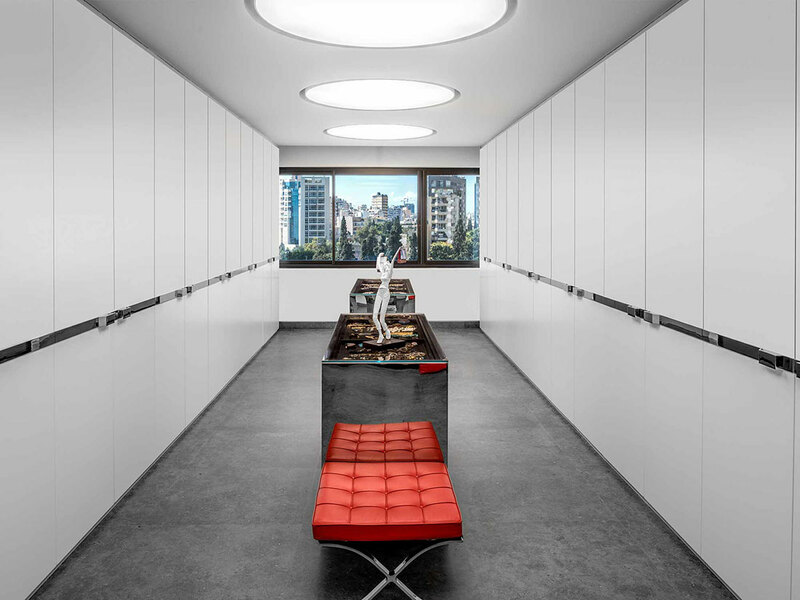 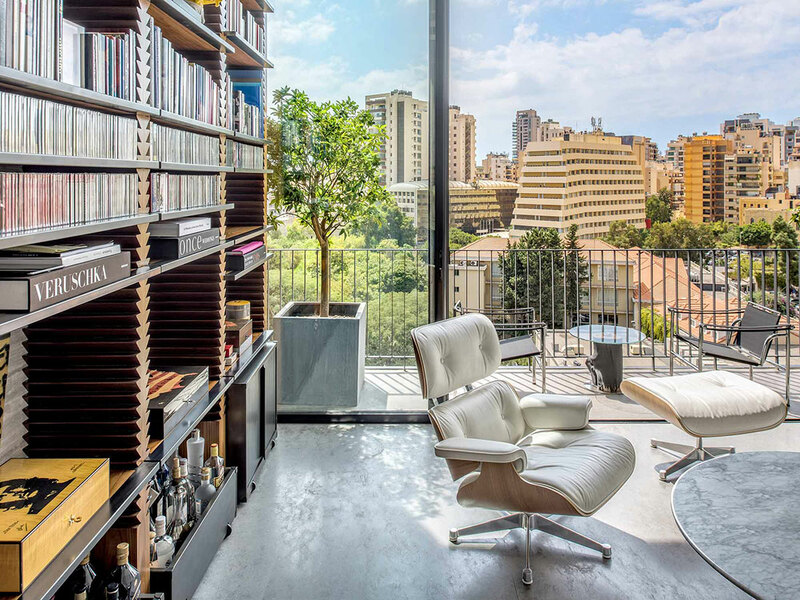 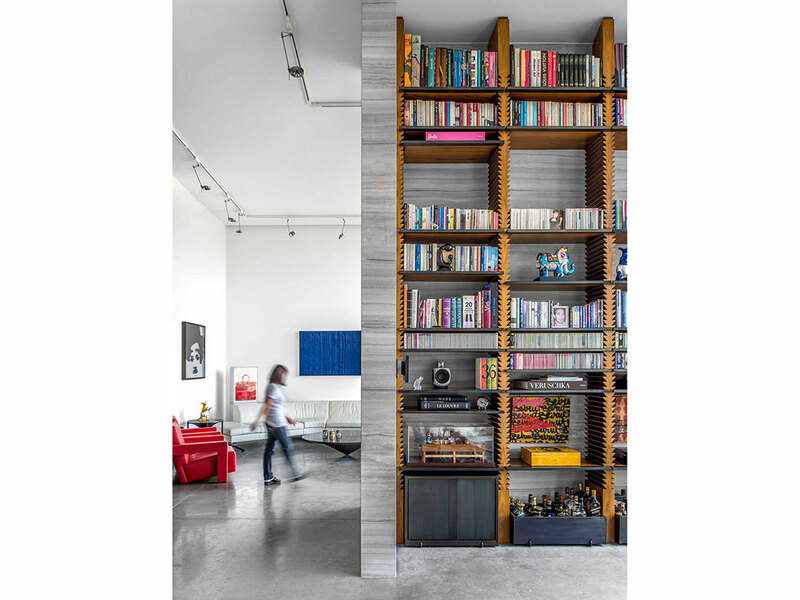 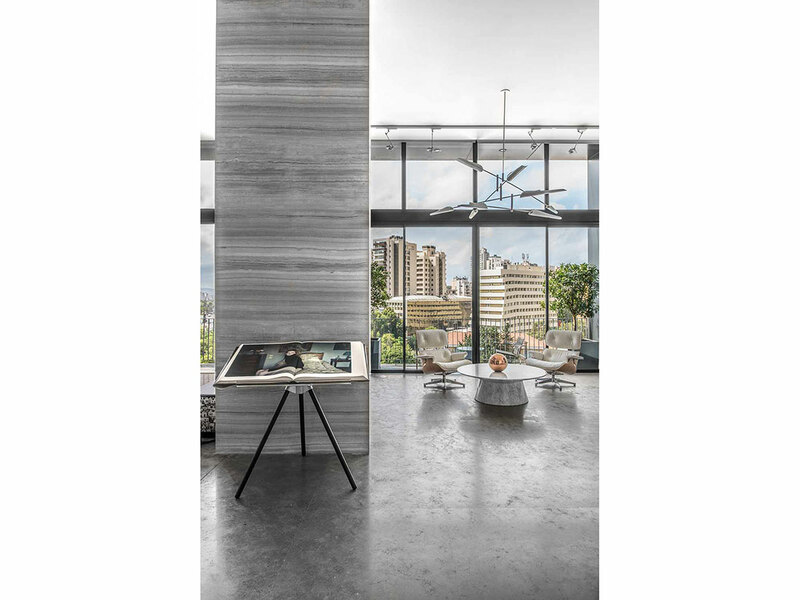 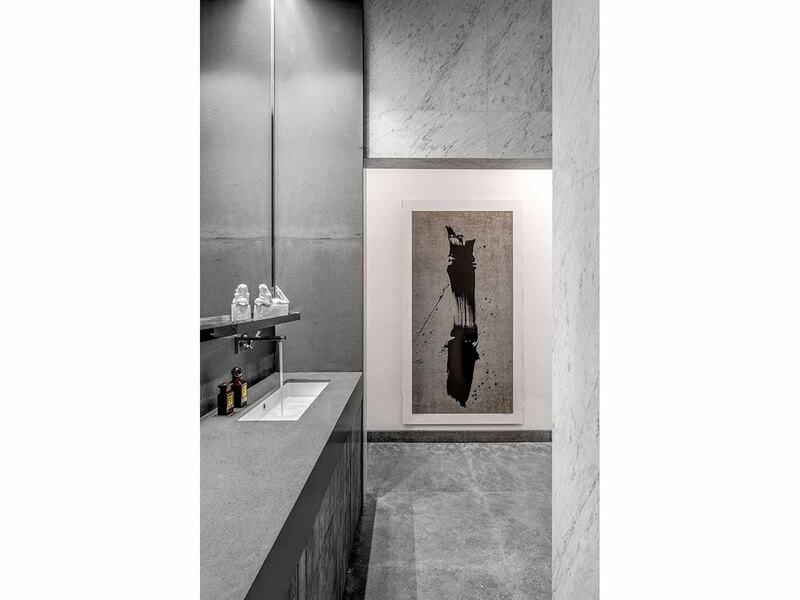 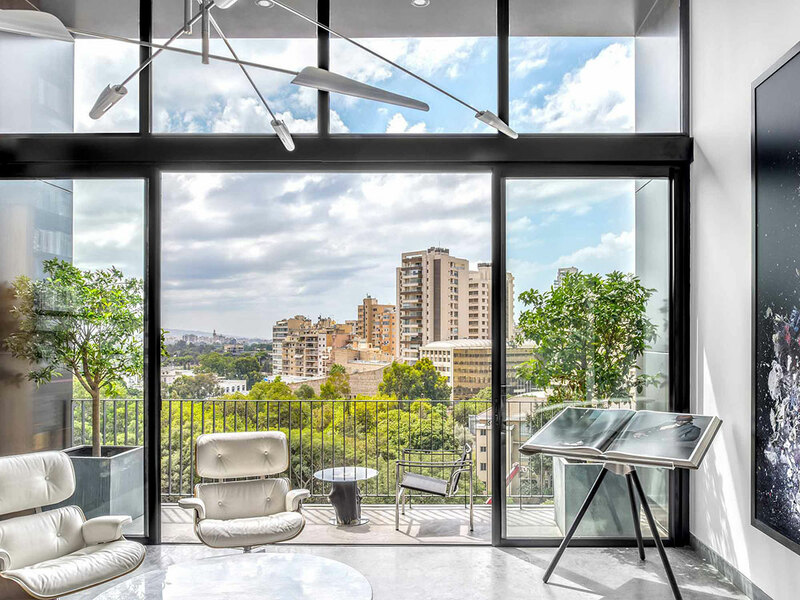 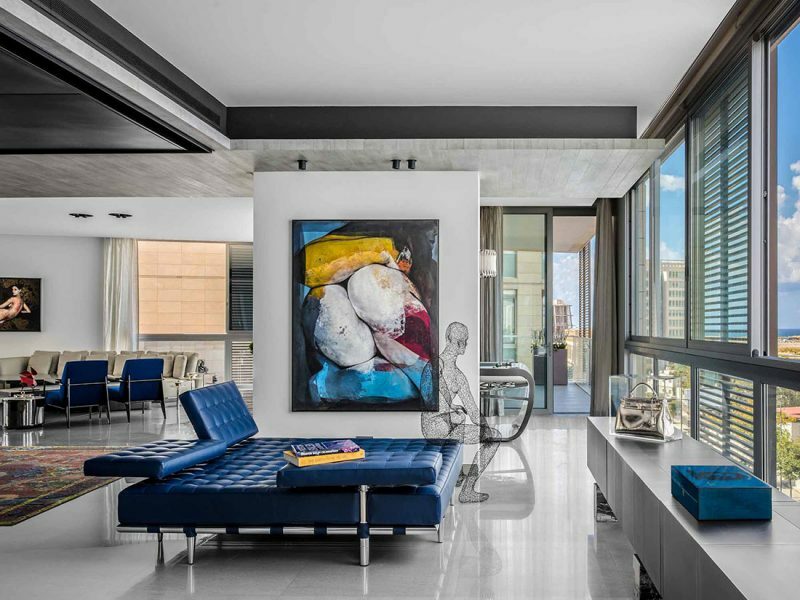 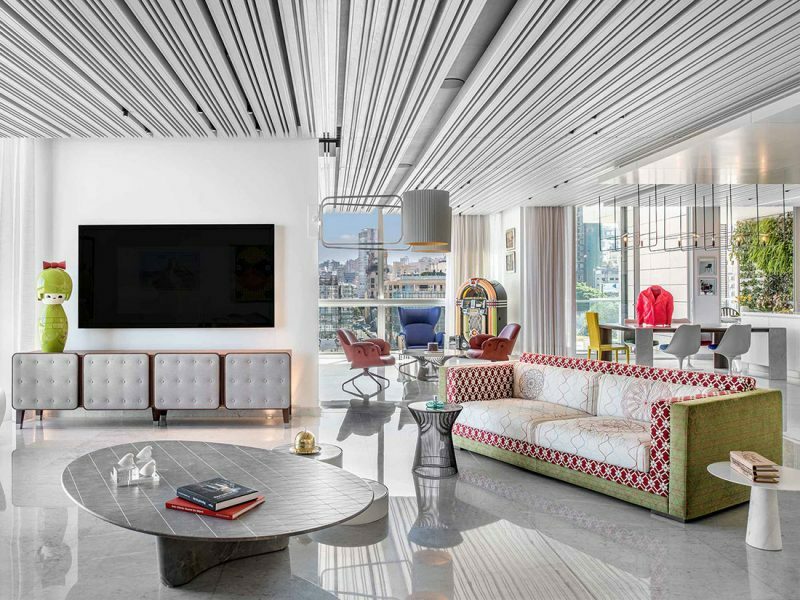 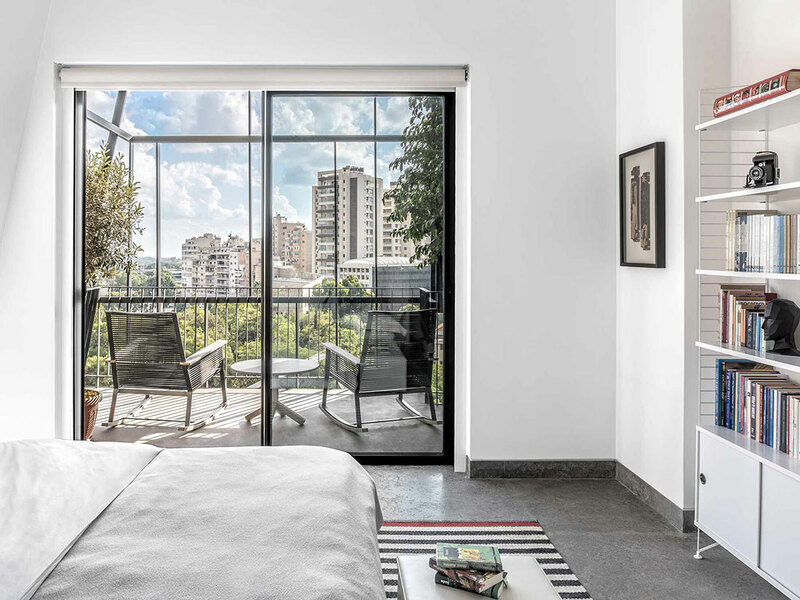 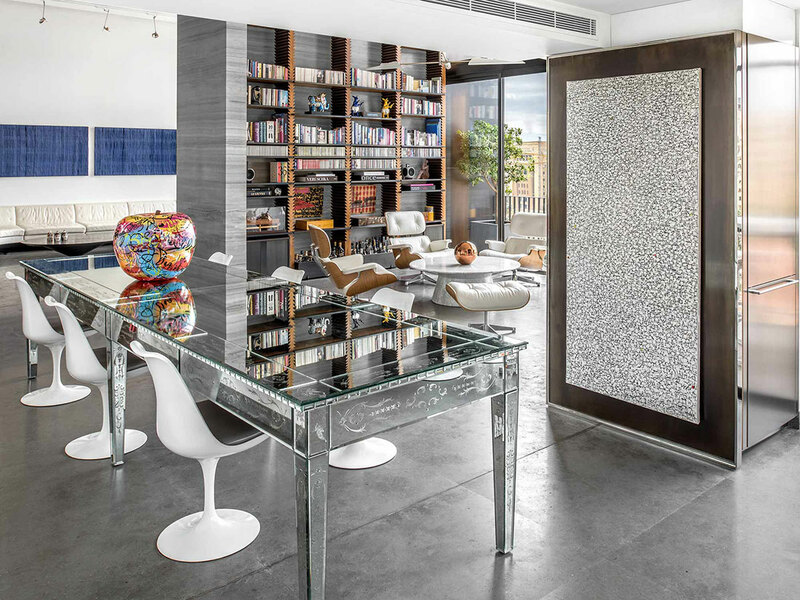 Located in a building designed by one of the world’s most ingenious Lebanese architects, Bernard Khoury, Mathaf is a high-ceilinged multi-level apartment located in the lively Mathaf district. 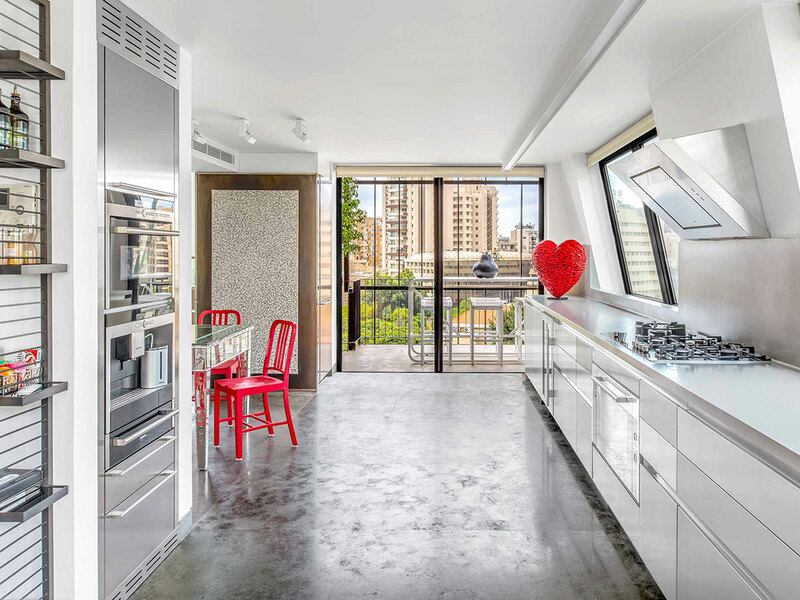 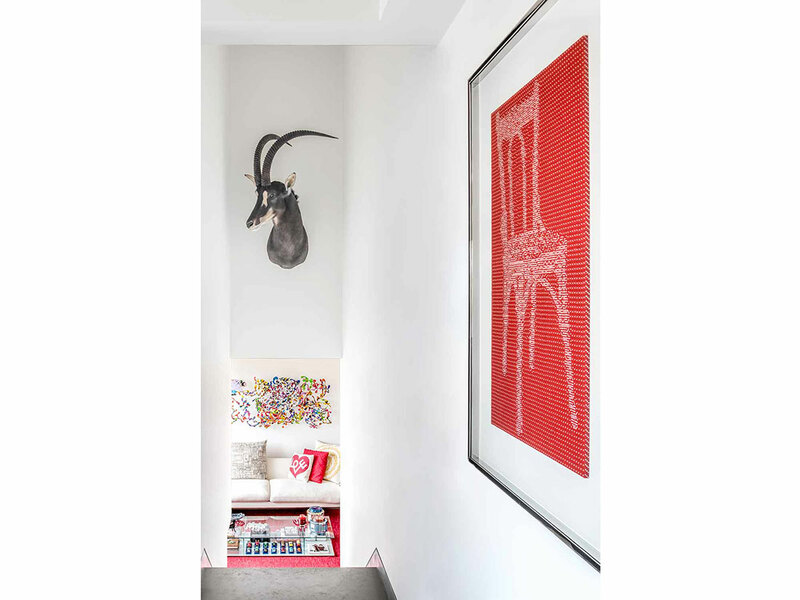 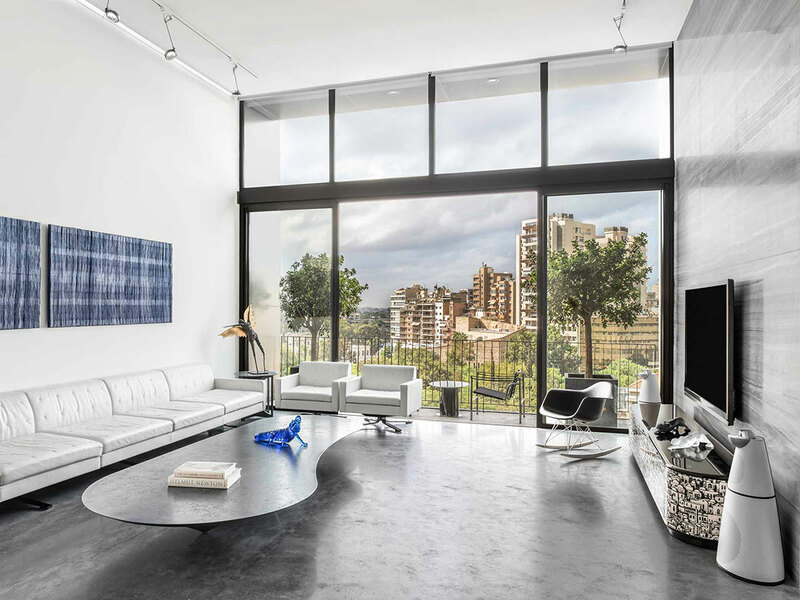 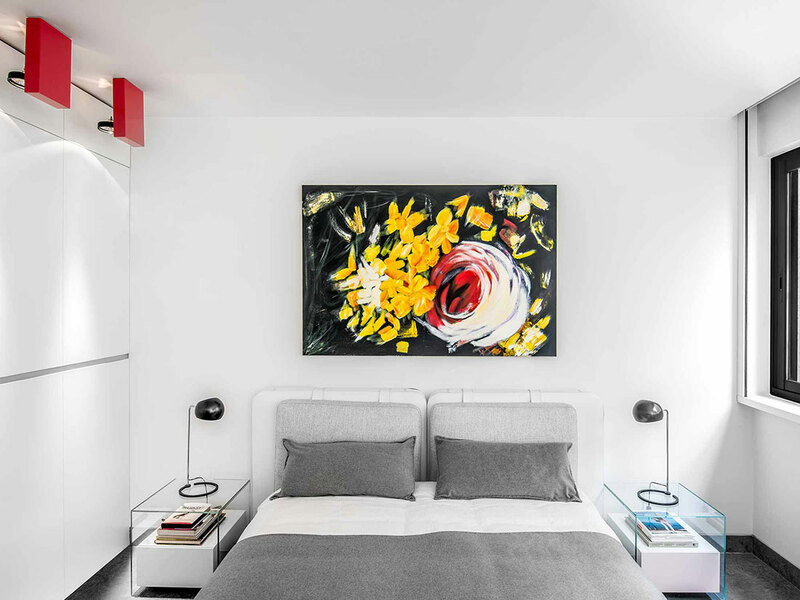 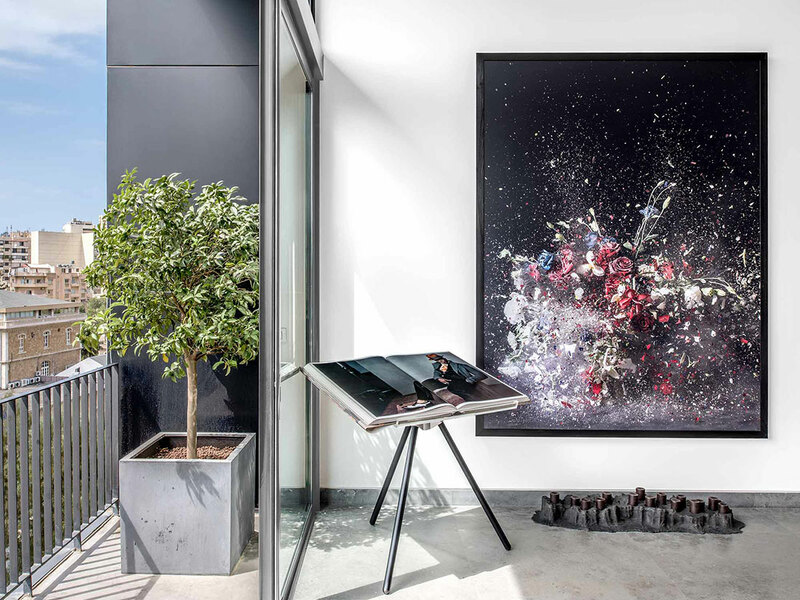 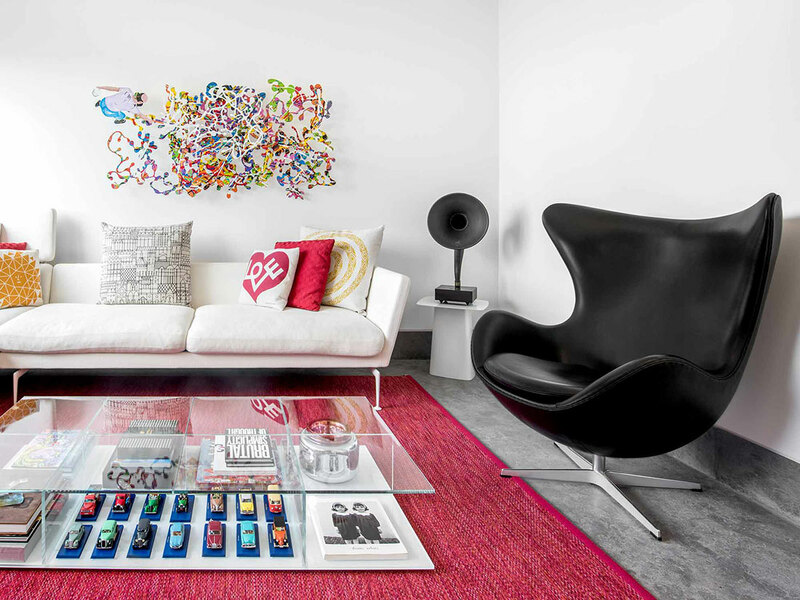 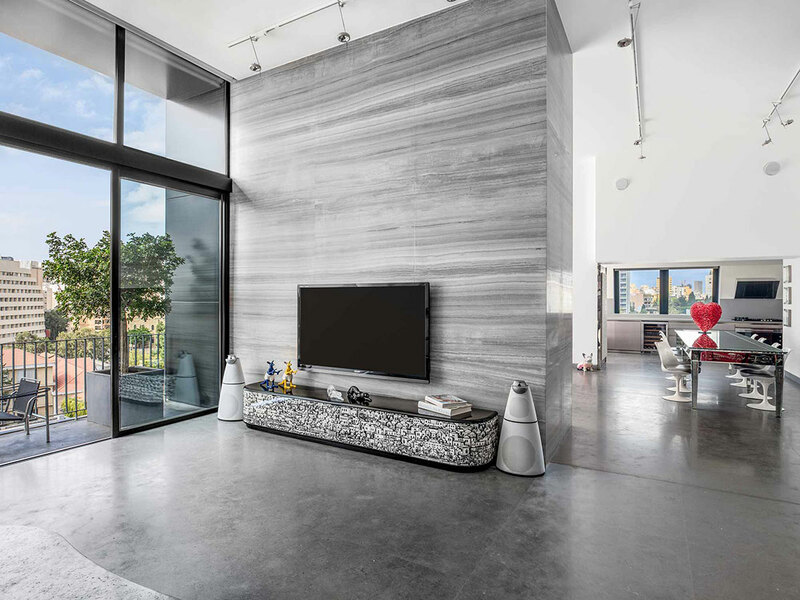 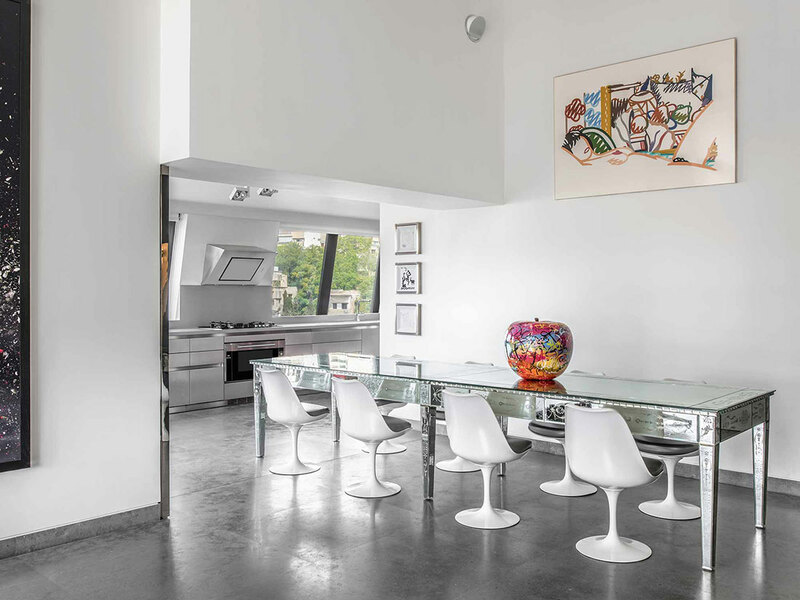 With 450m2 of modern space, the apartment serves as the absolute bachelorette house. 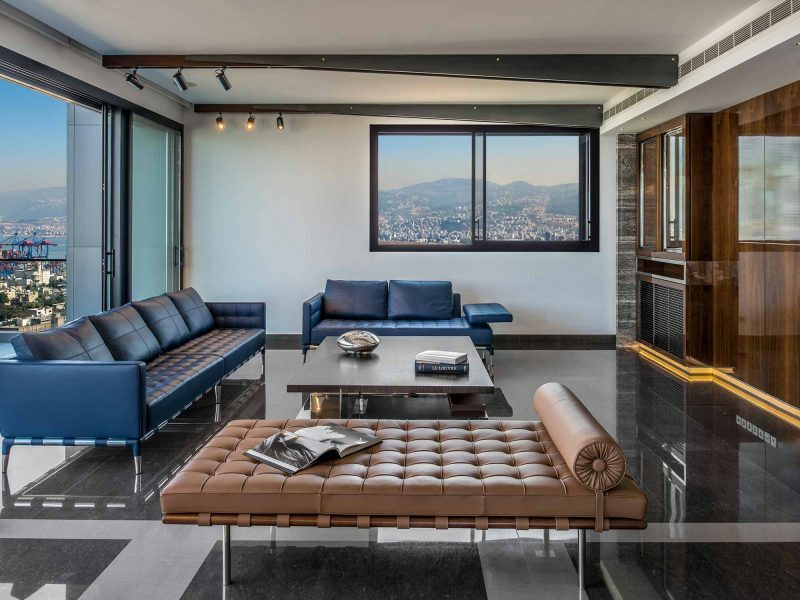 Split into three well-lit levels, the flat was designed in minimal and contemporary lines, featuring mostly metal, marble and cedar wood, adding a warm and cosy edge to the interior. 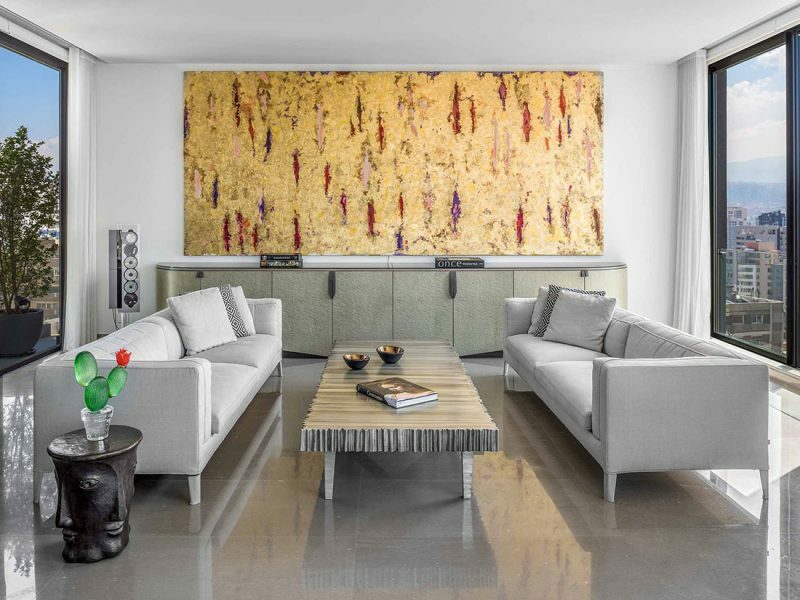 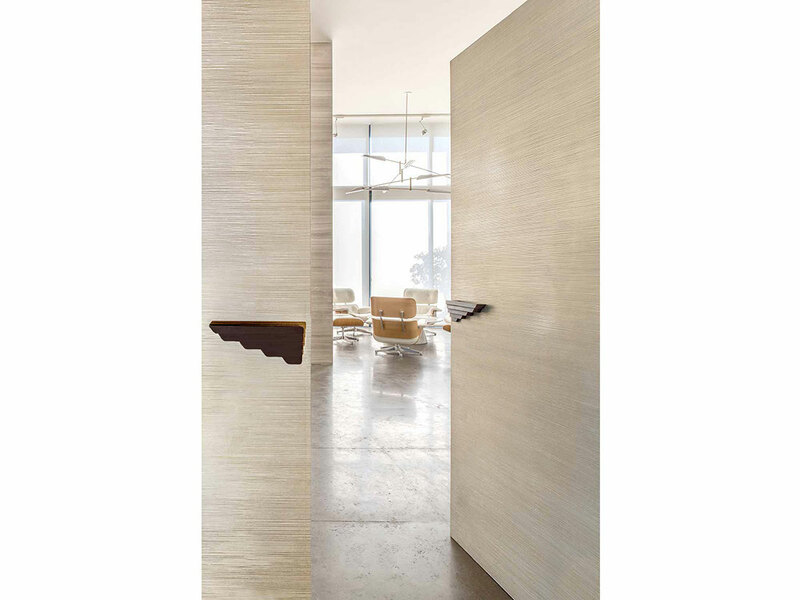 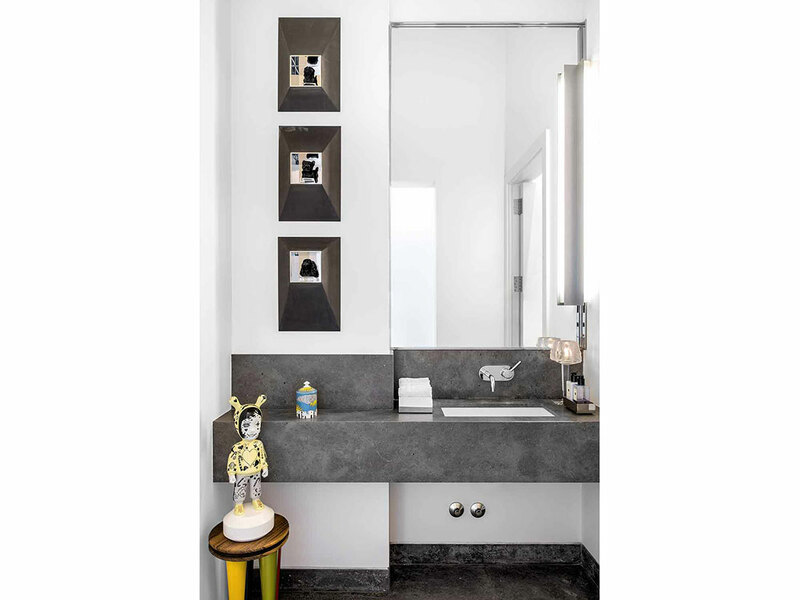 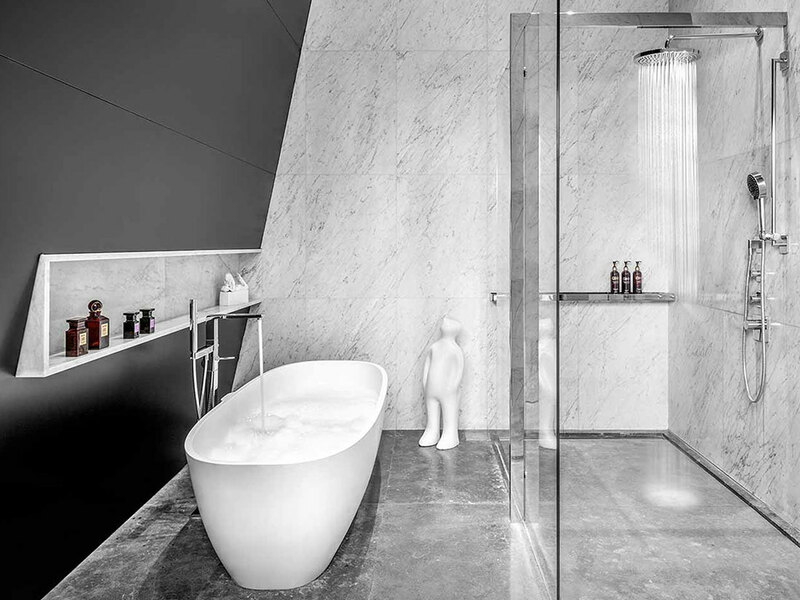 A perfect reflection of the client’s character, the apartment is all about comfort and convenience. 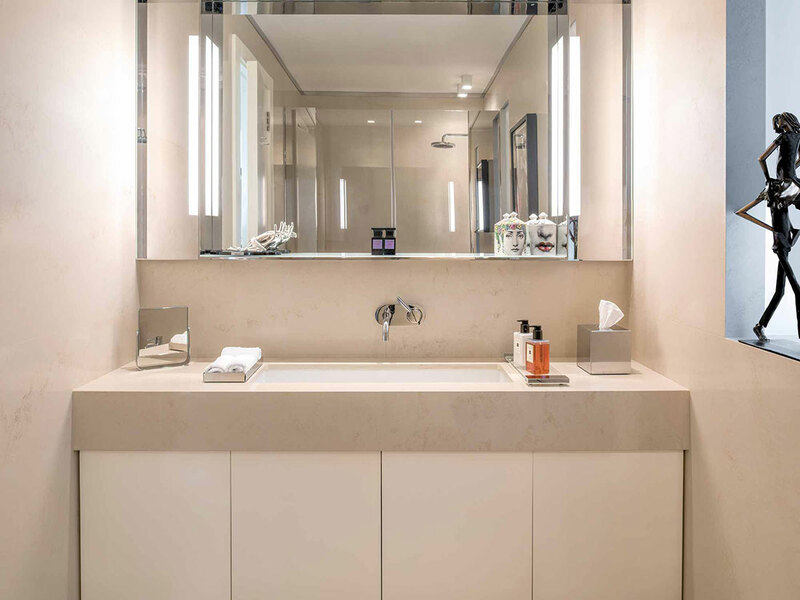 The top level houses the master bedroom and bathroom, along with a magnificent walk-in closet and a personal gym. 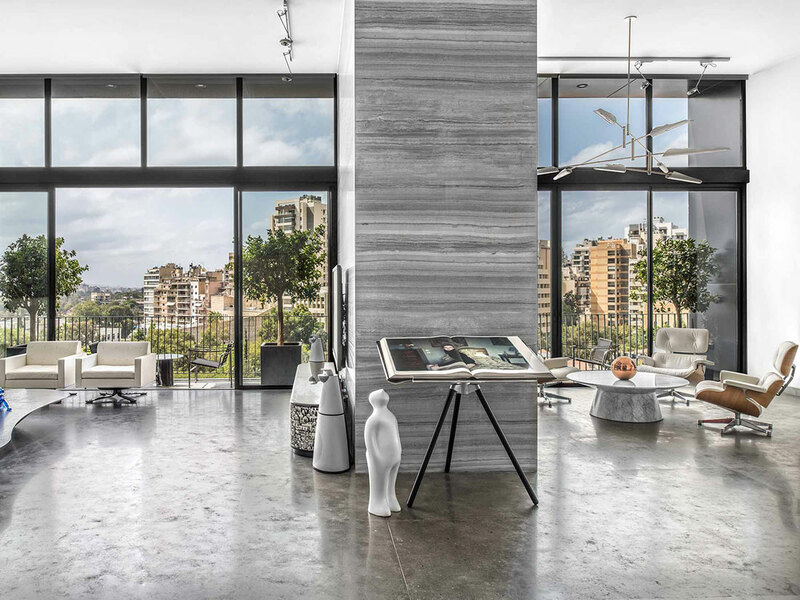 The middle floor is divided into two main sections, featuring a main reception area that opens into a naturally-lit library unit and a cigar lounge, ultimately leading towards a large kitchen with a dining table at the centre. 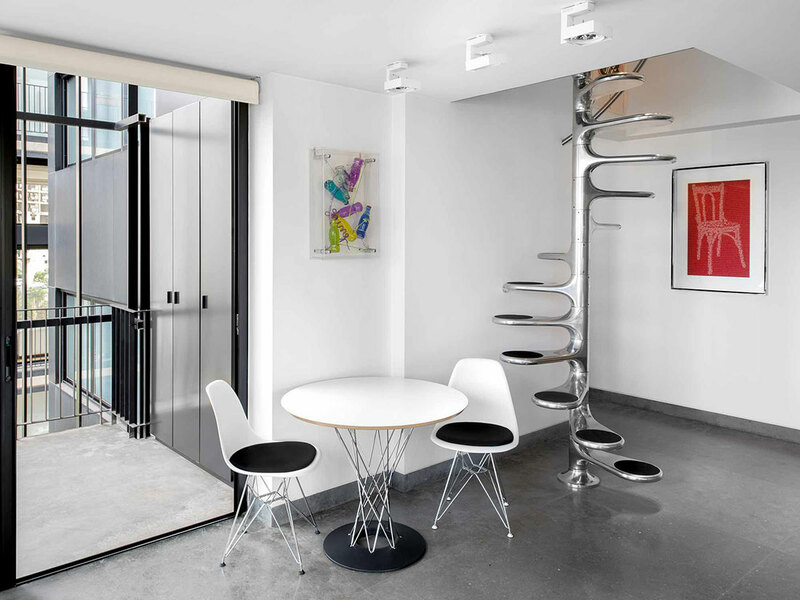 And finally, the bottom level holds the guest suite.